The world's #1 book on network and Internet security has been thoroughly updated to reflect today's latest threats, techniques, and technologies. 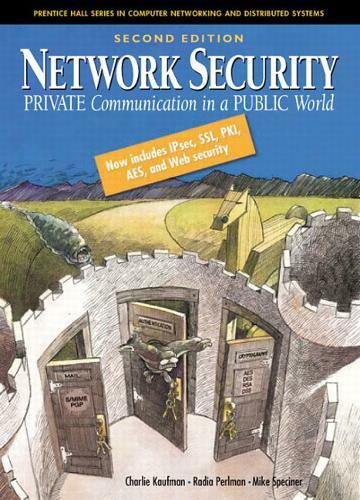 The long-awaited Network Security, Second Edition brings together definitive, accessible, even entertaining explanations of every key facet of information security. The authors begin by reviewing the challenges of network security, and introducing basic concepts such as authorization and the "military model" of security. They present an easy-to-understand introduction to cryptography, including secret and public keys, hashes, and message digests. A detailed section on authentication addresses the challenge of proving identity across the network; handshakes; and common attacks that must be addressed in designing authentication systems. The authors address core Internet security standards including Kerberos 4/5, PKI, IPSec, and SSL; as well as e-mail security via PEM, S/MIME, and PGP. They offer practical introductions to the Web security issues associated with URLs, HTTP, HTML, and cookies; concluding with overviews of security in environments ranging from Windows to NetWare.